The statistic shows the share of U.S. survey respondents who have had items with sensitive information lost or stolen, while traveling. 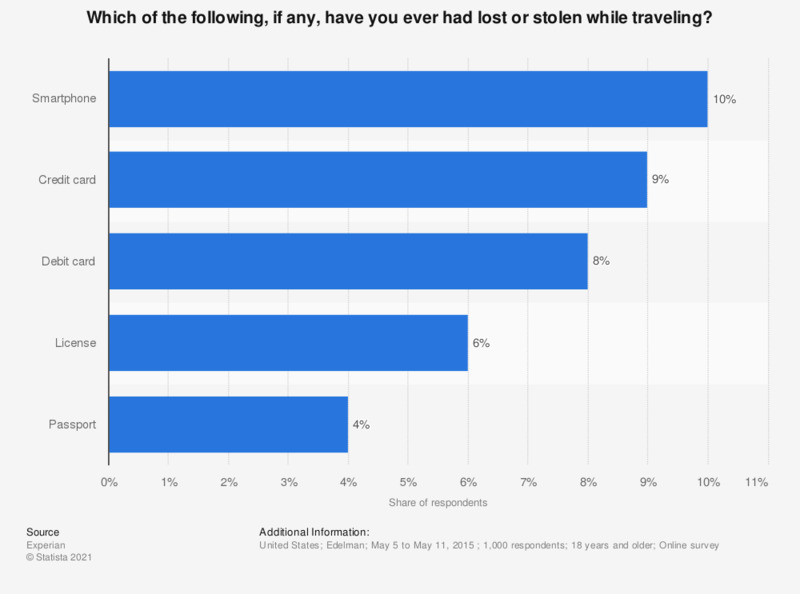 10 percent of respondents have lost or had a smartphone stolen whilst traveling. Which of the following best describes the action you took when you realized you had item(s) lost or stolen? When you are traveling either domestically or internationally, which of the following do you keep on your person at all times?